Can I Claim Storage Rental on My Tax Return? If you're a business owner, claiming storage rental charges as a deductible business expense is permissible provided it's ordinary and necessary for your business. A deduction for personal storage rental fees on a federal tax return, however, is only allowable when you're eligible to claim the moving expense deduction. 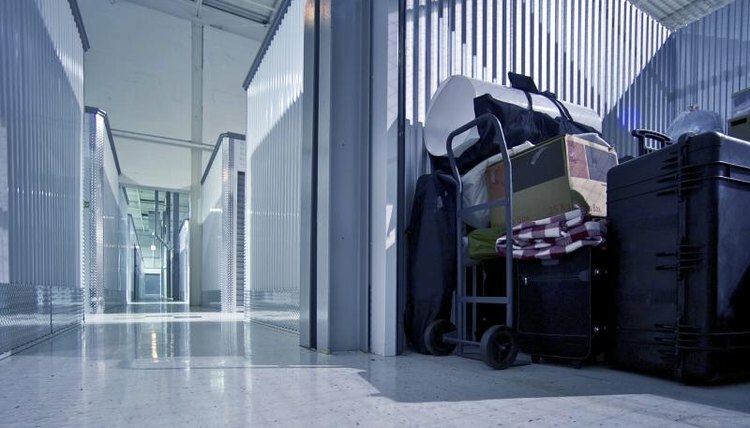 Many of the expenses of relocating to a new geographical area, such as the cost of hiring movers and renting a storage unit, are deductible if you can satisfy both the time and distance tests. Under the time test, the Internal Revenue Service requires that you work full-time for at least 39 weeks during your first 12 months in the new location. To satisfy the distance test, your new job has to be at least 50 miles farther from your former home than your previous job was from that same former home. The IRS does limit the storage deduction to 30 consecutive days of rent. Moreover, those 30 days must occur after your household items are removed from your former home but before delivery to the new one. Marz, Michael. "Can I Claim Storage Rental on My Tax Return?" , https://legalbeagle.com/12003620-can-claim-storage-rental-tax-return.html. Accessed 21 April 2019.